As 2019 rolls on, many homeowners across Texas are looking for the best ways to improve their property. Business owners will also be on the lookout for improvements to enhance safety and workplace reliability. The garage door opener is one piece of equipment that provides valuable functions for a building, and one piece of technology that is always improving. If your home or business relies on an outdated garage door opener, now may be the best time to schedule an affordable replacement to make the most out of your overhead door system. ACS Overhead Doors, LLC is here to provide top-quality garage door opener services to our Bell County customers, including home and business owners in Belton, Jarrell, Killeen, and beyond. We are ready to provide an amazing outcome for your structure, and can do so in a fast and affordable manner. Today, we’ll highlight a few of our top reasons why you should replace your outdated garage door opener. If you’re ready to get started now, be sure to contact us right away to receive your free estimate! Your overhead door relies on the opener for communication and movement, making it beneficial for families and businesses with outdated models to invest in modern components for the safest results. Modern garage door openers feature mechanical and photoelectric reversing mechanisms that help to prevent any injuries from crushing. Minor errors in the sensor can leave your loved ones and property at risk, so be sure garage door opener has the basic safety devices in place! While the DIP-switches of the olden days were ideal for keeping burglars away from your property, today’s hackers are more savvy. A replacement garage door opener will yield the most advanced security features, including a code system that changes the access password after each use. Today, home and business owners can find peace of mind knowing that their homes boast security advantages to keep would-be thieves out. New codes can generate over a billion possible codes, making it nearly impossible to gain entry! 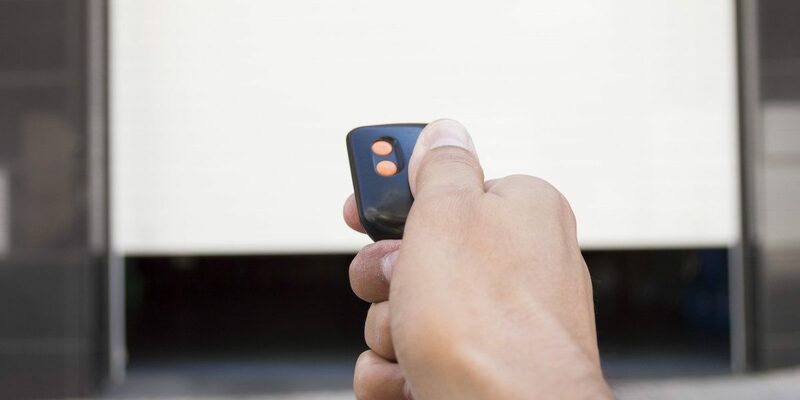 If you are worried about disrupting your home or place of business when opening your garage door, investing in a new opener may prove to be a smart choice. Customers with chain drives will likely hear a lot more noise, as this system creates more friction during movement. Our garage door company can work with you to find the right balance of price and silence, as our modern systems are made to be quieter than ever. Modern innovations have come a long way over the years, meaning that your current system will be unrecognizable compared to your new garage door opener. Many devices feature wireless technology to sync your device to the internet, allowing for a variety of improvements. Always forgetting to close your garage door? Now you can do it from your cell phone. If you’re looking for the best technology, our garage door company is here to help! Contact us to learn about our available products, and see how affordable it can be to outfit your overhead door system with the best technology. ACS Overhead Doors, LLC is here to provide top-notch garage door openers in Bell County. We can provide ideal results for your property in a professional and affordable manner. Our company also specializes in garage door repairs across Central Texas. We’re confident that we can outfit your home or business in a manner that exceeds your expectations. Contact us now to learn more, and be sure to request a free estimate for your project!